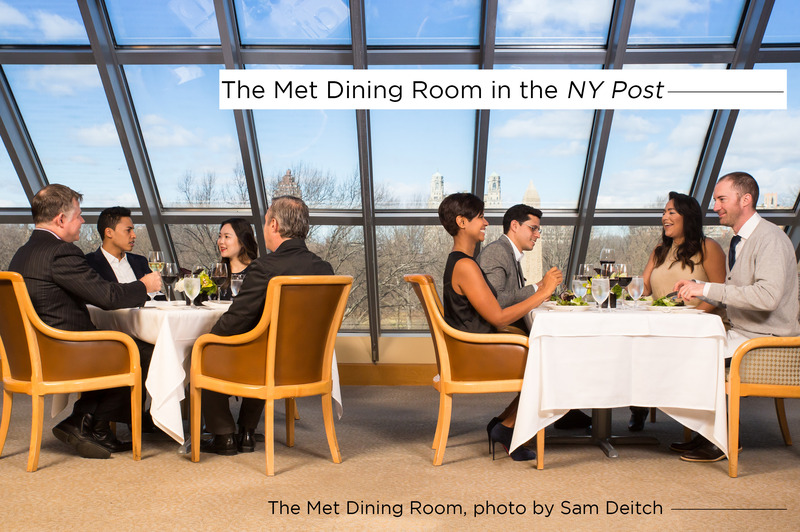 Earlier this year, the famed Metropolitan Museum of Art in NYC opened it's Dining Room on the 4th floor to the public. Once exclusively for Trustees, and then Members, now anyone that visits the museum can make a reservation. Steve Cuozzo of the New York Post writes "Having once been there as a member's guest...I was surprised by the newly liberated venue's younger crowd, buzz and professional service. It's graciously run by accomplished New York pros." Cuozzo further states "The Dining Room is reached by elevator off the Medieval section, but executive chef Fred Sabo's menu is contemporary, globally-influenced Manhattan-American. His seafood-strong lineup taps local and seasonal ingredients with just enough originality." Check out the full article here! Metropolitan Museum of Art, 1000 Fifth Ave.; 212-570-3975. Lunch Monday to Friday, Noon to 2:15 p.m.; brunch Saturday 11:30 a.m. to 2:15 p.m. and Sunday 11 a.m. to 2:15 p.m.; dinner Friday and Saturday, 5:30 to 10 p.m. Visitors must first buy a ticket to the museum: Suggested admission is $25 for adults, and that fee will became a mandatory $25 for out-of-state residents on March 1.